Fancy (as Manfred Alois Segieth) first recorded in the German schlager style under the name of Tess Teiges before having his first hit as Fancy called ”Slice Me Nice” in 1984. He was successful in the dance charts, topping Billboards dance chart three times. He is renowned for his hit singles including ”Bolero (Hold Me in Your Arms Again)”, ”Lady of Ice”, ”Chinese Eyes” and ”Flames of Love”. Many of these were collaborations with composer and producer Anthony Monn, who previously had achieved worldwide success with French singer Amanda Lear. One of Fancy’s albums includes a cover version of her 1976 hit ”Blood and Honey”. Fancy has also recorded many hits for other artists using a variety of other names. Mostly frequently in the name of Tess or Ric Tess he has written music for Grant Miller, Linda Jo Rizzo, Marc Buchner, The Hurricanes, Mozzart, Timerider, amongst many others. Fancy, who studies astrology and esoterica, once stated in an interview, ”I am a moon child”. 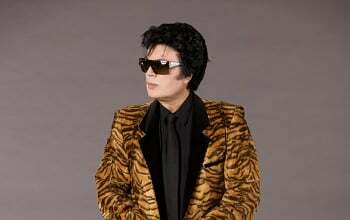 He has also recorded music for the shows of his good friends and fellow artists Siegfried & Roy. In late 2008, Fancy released Forever Magic. The lead single was a new version of ”A Voice in the Dark”, previously found on the album All My Loving.